In about 25 minutes, you can enjoy this delicious juicy salad that brings color and taste to your table. I made this salad a few weeks ago for a surprise birthday party, it was a Mexican-themed night, so I thought these fajita shrimps would be a perfect match. 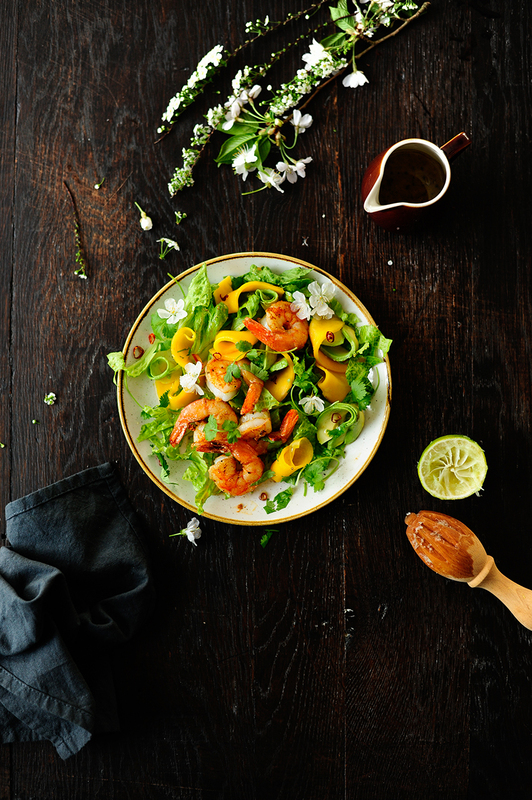 But it’s not only the shrimps, but the refreshing taste of the spicy-sweet lime dressing and the mango pickled in rum that makes this salad so special. Serve it as a starter or as a light lunch with crispy nachos. Cut the mango into thin strips, combine with rum, lime juice and ginger. Set aside to pickle. Sprinkle prawns with fajita spices, season with salt and pepper. Heat the olive oil in a skillet, add shrimps and season with fajita spices, salt and pepper. Cook over high heat 1 min on each side. In a bowl, combine the ingredients for the dressing. In a large bowl, toss together the romaine lettuce, avocado and mango. 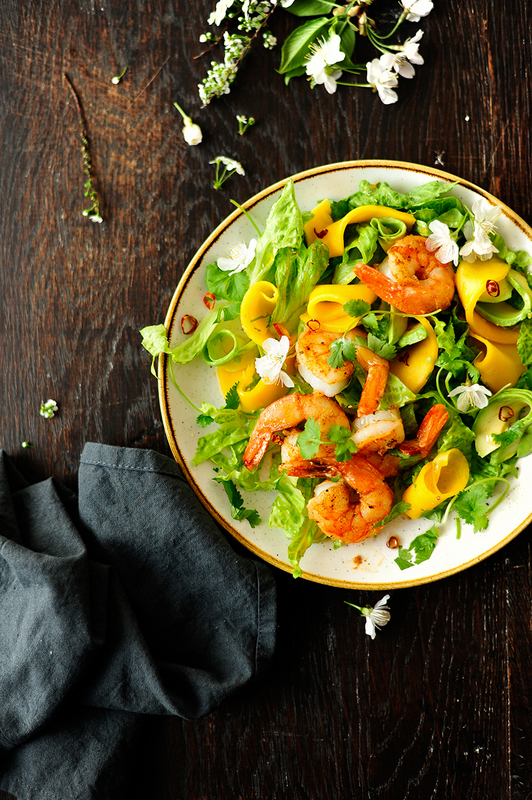 Add shrimps, sprinkle with cilantro and drizzle with honey lime dressing. Enjoy.